Three Boxes Hi-Lo is another card variant game of the traditional Hi-Lo game. 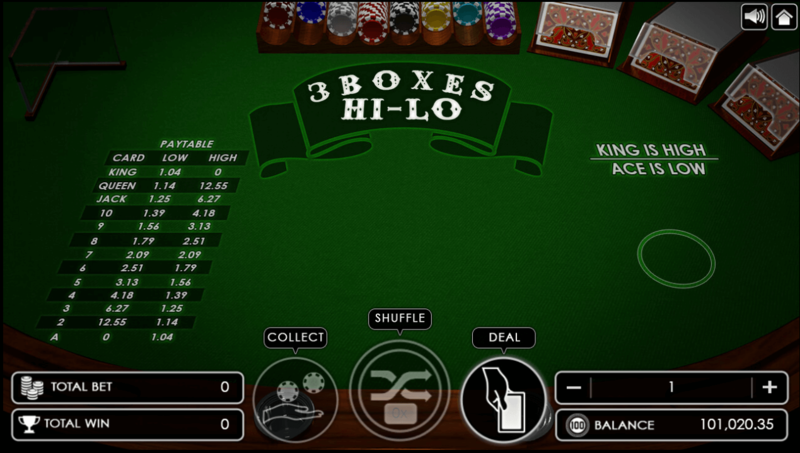 Unlike the traditional Hi-Lo game where the game has only a single card for the player to guess, the Three Boxes Hi-Lo allows you to choose three cards to guess either a higher or a lower value for the next distribution. The game has a SHUFFLE feature which lets the player re-shuffle their three currently dealt cards.